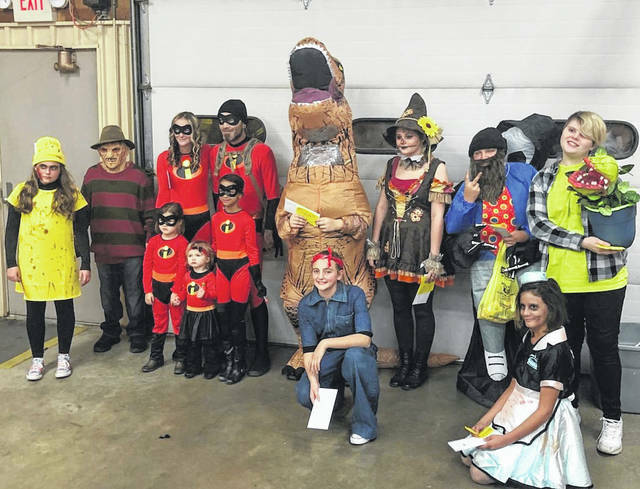 Pictured are winners in the costume contest, ages 0-5 years, at the New Haven Halloween party, following trick-or-treat Thursday evening. The party was sponsored by the town, and held at the New Haven Fire Station. Winners of the New Haven Halloween party costume contest, ages 6 to 10 years, are pictured above. 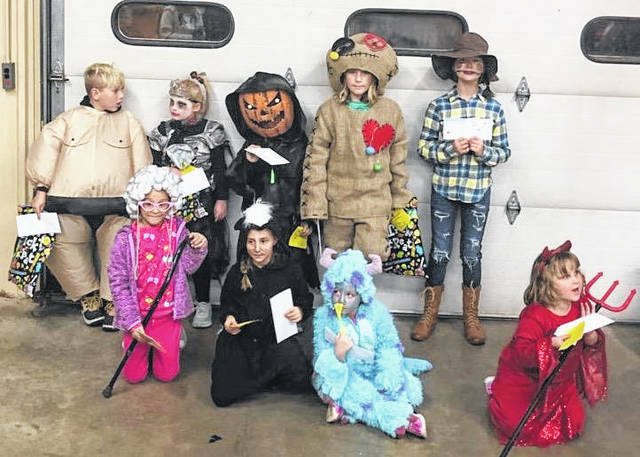 The party was held at the New Haven Fire Station, with City National Bank providing snacks, and the New Haven Library hosting pumpkin decorating. Pictured are winners of the costume contest, ages 10 years and over, at the New Haven Halloween party. Juddy and Bernita Allen provided music for the event, which was held at the New Haven Fire Station.